Have you ever wondered what foods you should be avoiding? Do you suffer from unexplained stomach cramps, bloating, diarrhoea, headaches/migraine, unexplained sweating, nervousness or nausea and haven’t been able to find the cause? We are thrilled to now be offering an easy, non-invasive Health and Food Sensitivity Test here at Simply Natural Therapies. By simply providing us with a hair sample, our Naturopath, Anna Talaj, is able to assess you using a database of over 30,000 items. These items include specific foods, chemicals, pathogens, bacteria, viruses, parasites and fungal infections. It also includes which organs, systems or parts of the body are affected, including the energy field, meridians and energy centres. Due to the simple nature of the testing, this is a perfect option for children to determine which foods or environmental factors they’re sensitive to. The Multiple Analytical Resonance System (MARS III ) is based our current understanding that everything is vibrational. As energy is the fundamental life force of the body. 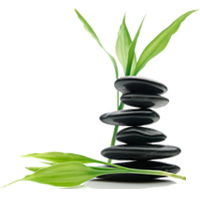 This therapy has the ability to measure and correct energetic imbalances. The Food Sensitivity or Intolerance Tests available with BioResonance are Non IgE-Mediated tests – meaning that the adverse reactions to foods, for example, bloating, diarrhoea, headaches etc., do not involve an immune response or allergic reaction and are not considered true food allergies. Conditions that affect metabolism like lactose and alcohol intolerance or responses to food components such as caffeine, theobromine in chocolate or fructose in fruit and vegetables are technically intolerances or sensitivities not allergies. Not only does this simple test give you a report on what foods you should be avoiding, but by doing the ‘Full Health Test‘ it can also provide you with information on which areas of your body are most effected, which organs need more support, possible external burdens you may be experiencing emotionally and environmentally, what vitamins and minerals you should be taking to support your entire system, chromotherapy (the colours you should surround yourself with) and what crystals may be supportive for you at this time of healing. This is a truly holistic approach. This test comes with a full report and a phone consultation to discuss all findings with our Naturopath. Private Health Rebates are available with consultations.